Ramkumar Ramanathan fetched the crucial win but Yuki Bhambri made the day memorable even in defeat as India and Canada shared the honours on day one of the Davis Cup World Group Play-off tie. 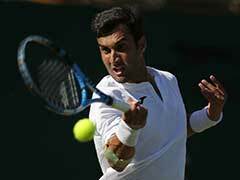 Ramkumar Ramanathan fetched the crucial win but Yuki Bhambri made the day memorable even in defeat as India and Canada shared the honours on day one of the Davis Cup World Group Play-off tie. Yuki turned the match on its head after being down by two sets and a match point in the third set but eventually lost 6-7(2) 4-6 7-6(6) 6-4 1-6 to world No.51 Denis Shapovalov --an audacious performance in three hours and 52 minutes battle. 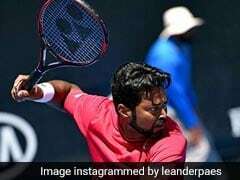 It happened after 22-year-old Ramkumar, ranked 154th, tamed debutant Brayden Schnur 5-7 7-6(4) 7-5 7-5 in the first singles, which was also a marathon match lasting three hours and 16 minutes. 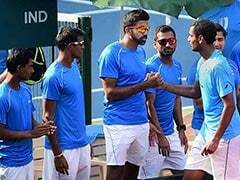 "Boys played with a lot of heart...the plan was to fight regardless of the score and Ram swung a losing battle and Yuki almost did too," Indian captain Mahesh Bhupathi told PTI. 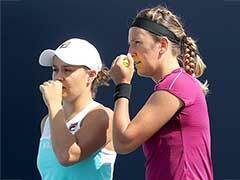 "The pressure remains on them. If we fight like this anything is possible." This defeat would rankle Yuki for some time as Shapovalov had started feeling the heat following the Indian's perseverance. Yuki proved that his recent win over world number 22 Gael Monfils was no fluke and he give a good fight to the world's top players. 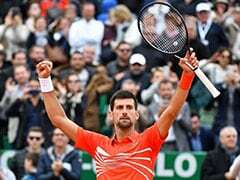 The 18-year-old Shapovalov, who recently beat the likes of Rafael Nadal, Jo Wilfred Tsonga and Juan Martin Del Potro, was playing his first ever five-set match and all credit to Yuki for making his life tough. Yuki also changed his tactics intelligently in the match, trying to restrict Shapovalov's fierce forehand by feeding him more on the backhand but still the Canadian created some breathtaking service return winners. The Indian was broken in the first game of the must-win third set but broke immediately when Shapovalov double-faulted at deuce and sent a forehand long. It was Yuki's first break of the match as he tried to make a fight out of it. As the match grew, Shapovalov started to feel the nerves as Yuki started to return much better, growing in confidence. 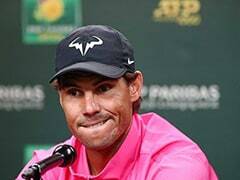 The Indian broke early in the fourth set and forced a decider but unforced errors at crucial juncture pulled him down. 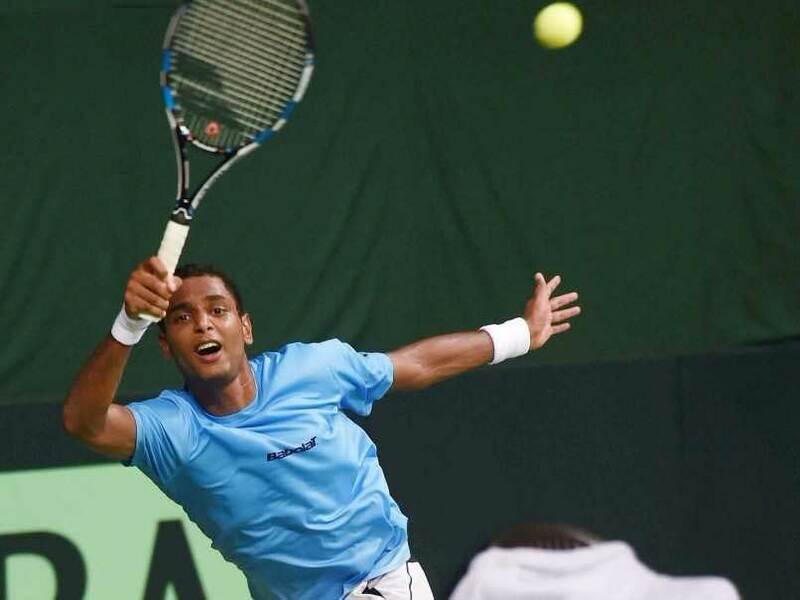 Earlier, a dogged Ramkumar Ramanathan battled past a fighting Schnur to remain unbeaten in the Davis Cup in the 2017 season, having won all five matches he has played. 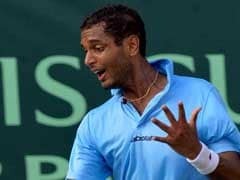 But the 202-ranked Canadian was hit by a crisis of confidence when Ramkumar won the second set and pulled away with the third. Schnur looked down and out, trailing by two sets to one, and down by a break in the fourth set but found the energy to fight when Ramkumar dropped serve immediately. The fourth set was littered with breaks but eventually, Ramkumar sealed the match with a backhand winner, again well set up with a quality service. Schnur, to his credit, fought well even in the fourth set but Ramkumar's experience helped him clinch the issue.